The various activities of the Math and its branch centres are spread over both rural and urban areas. The participation of the people at large in the annual celebrations are indicative of the steady growth in the spreading of the message of Ramakrishna-Vivekananda-Abhedananda. In the field of education, a considerable number of poor students, both boys and girls of hill tribes of the Darjeeling District, are boarding and lodging in our Hostels for their education. The free libraries and reading rooms attract large numbers of readers. The Charitable Dispensaries, provide free treatment and medical aid to thousands of poor people of the Darjeeling hill district. The publication centres have brought out subsidized editions of select books to enable the masses to have access to them. The Universal Truth of Vedanta, which accepts all the phases of truth discovered by scientists, philosophers and seers of truth everywhere and in all ages, is propagated throughout the country and abroad mainly by the publication of books, journals, etc. and by holding lectures, seminars,meetings and daily discourses. 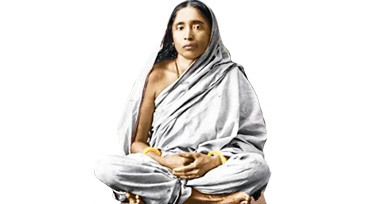 Also spiritual training is imparted to the inmate students of all the centres throughout the country, according to the ideal and teachings of Sri Ramakrishna for practical application of the great principles of Vedanta. In the field of education, Margaret (Sister Nivedita) English School at Siliguri (Roll strength 2564) and Ramakrishna High School for Girls at Kurseong (Roll strength 674 hill tribes) have been giving immense service to both boys and girls of the District of Darjeeling especially to the girls of poor hill tribes. Hostel for boys at Siliguri and Hostel for poor girl students of the hill tribes at Kurseong have been providing opportunities for all classes of students, high and low, to obtain proper education and upkeepment in an atmosphere free from worries and anxieties of the present-day-society. The branch centres at Siliguri, Kurseong and Darjeeling also run 3 Junior Basic Schools (2 for Nepali girls) and 2 Primary Schools (1 for Nepali girls). Besides, there is also the Ramakrishna B. T. College (sponsored) at Darjeeling. The Free Reading Room and Library occupy a very important position in propagation of Vedanta, education and culture free of cost to all the reading public which has always been in the increase. The Library at Calcutta Math, which started functioning under the supervision of Swami Abhedananda himself in the year 1927, now contains not only a large number of rare and valuable books on Vedas, Brahmanas, Shiksas, Pratishakhyas, Upanishads etc. but also the most up-to-date books on philosophy, history, sociology, politics, religion, psychology and literature in Sanskrit, Bengali and English, which are essential to the students of all categories. All the important Dailies, Weeklies, Monthlies and Periodicals are also available. The Library contains about 4000 books in English and about 8000 books in Bengali and attracts the attention of a large number of the reading public as also of students and research scholars. The Free Reading Room provides facilities to the readers and visitors, particularly to students, to go through the rare and valuable works on various topics for the purpose of reference and research. With the completion of the newly constructed Library Building at Calcutta Math, the Library and Free Reading Room have been shifted to the 1st floor in more spacious rooms than was possible ever before to cater to needs of ever growing readers. There are also Library and Free Reading Rooms attached to branch centres. 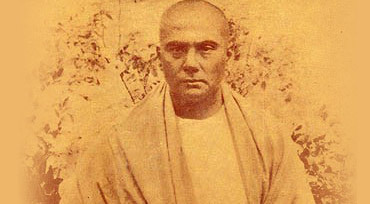 Learned discourses on Vedanta, Gita, Bhagavata, Yoga, Upanishad, life and sayings of the great seers of truth, and other cultural and scientific subjects of interest are held daily free of cost to the general public, irrespective of caste, creed and colour, by monks and renowned scholars and artistes in the large newly constructed 'Abhedananda Memorial Lecture Hall' at 19A, Raja Rajkrishna street,Calcutta-6. The growing interest for the Daily Discourses is evidenced by ever-increasing attendance. Similar discourses are held in all the branch centres at Darjeeling, Kurseong and Siliguri. 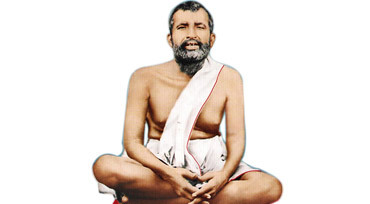 Spiritual training is imparted to the inmate students in Calcutta Headquarters as also in the branch centres, free of all costs, in the light of the life and teachings of Sri Ramakrishna and his disciples, including its practical application in their lives by serving people selflessly and without any discrimination of caste, creed, colour or religion. Medicine and treatment is provided free of cost to the people at large, throughout the year through the charitable dispensaries at Darjeeling, Kurseong and Siliguri branch centres and through the charitable and/or mobile dispensaries run by the sister organisation RAMAKRISHNA ABHEDANANDA MISSION, a registered Society in West Bengal. Both charity and relief are given in cash and/or in kind to the poverty-stricken people as also to the distressed. Clothes, blankets etc. distributed to the poor and relief work done at Kurseong after landslide, fire, etc. flood relief work done for months together at New Barrackpore, Block II under the supervision of the Abhedanada Nagar branch of the RAMAKRISHNA ABHEDANANDA MISSION. In knitting and tailoring, training is offered to about 60 trainees of the hill tribes at Darjeeling branch centre. Feeding of the poor and other people is held by this institution in all its centres on all festive occasions over and above the daily seva throughout the year. 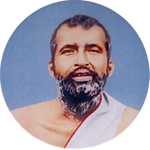 The Ramakrishna Vedanta Math and branch centres laid emphasis on the propagation of the spiritual and cultural ideals of India, and through various types of activities tried to give a practical shape to the teachings of Sri Ramakrishna and his illustrious disciples. The centres established real points of contact among people both high and low of different faiths through public celebrations, meetings, classes, publications,lectures, etc. The Math and its branches solemnly observed the days sanctified by the advent of great saints and prophets. 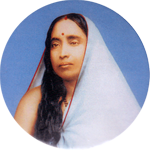 The general features of the celebrations of birthdays of Sri Ramakrishna, Sri Sarada Devi (the Holy Mother), Swami Vivekananda, and Swami Abhedananda were : Special worship, Homa (offering in the sacred fire), chanting of Scriptural texts, Bhajan and Sankirtan, distribution of Prasad (sacramental food) to the devotees, feeding of the poor in large numbers and lectures by eminent speakers including celebrated monks from Belur Math. Thus the message of Sri Ramakrishna and his direct disciples was steadily spread, and many young and ardent souls came in touch with the ideals of the Math and its branches. Some of the popular Hindu festivals were also celebrated at the Math and its branch centres in Cooperation with the local public.